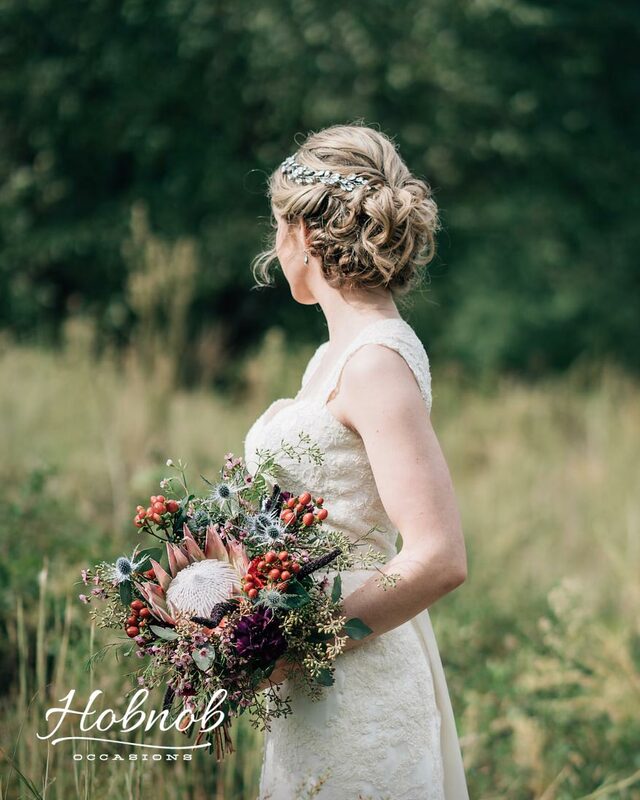 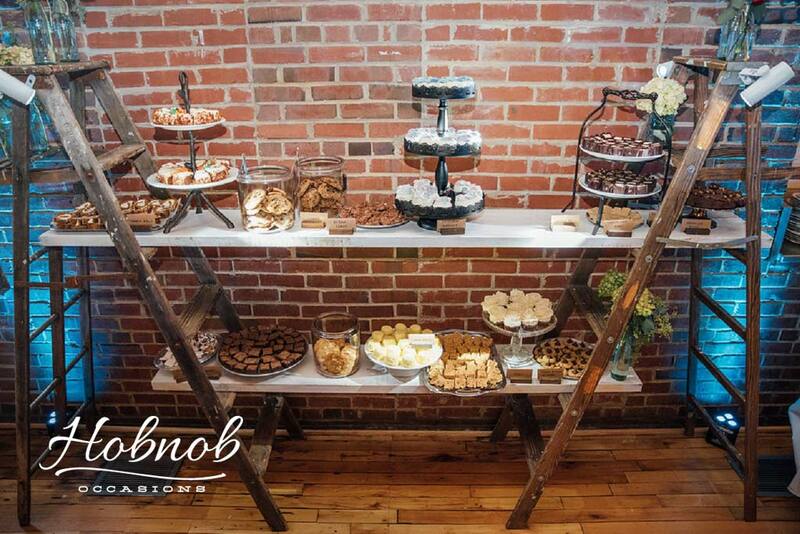 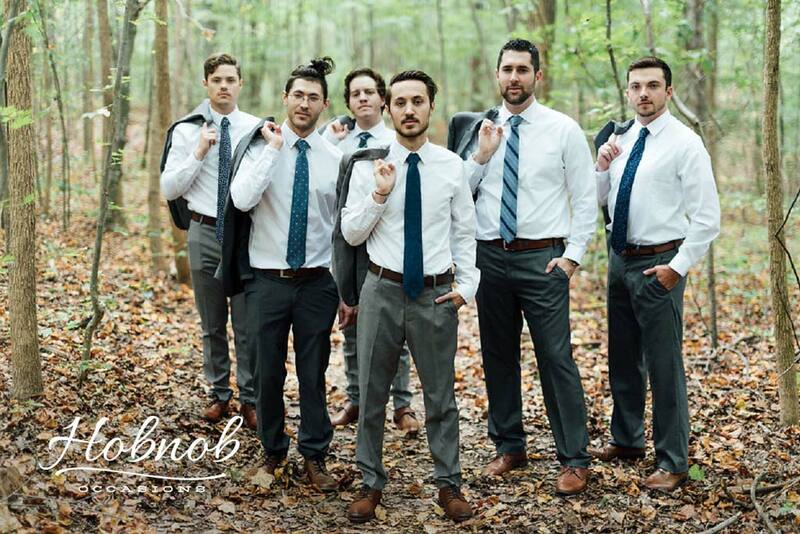 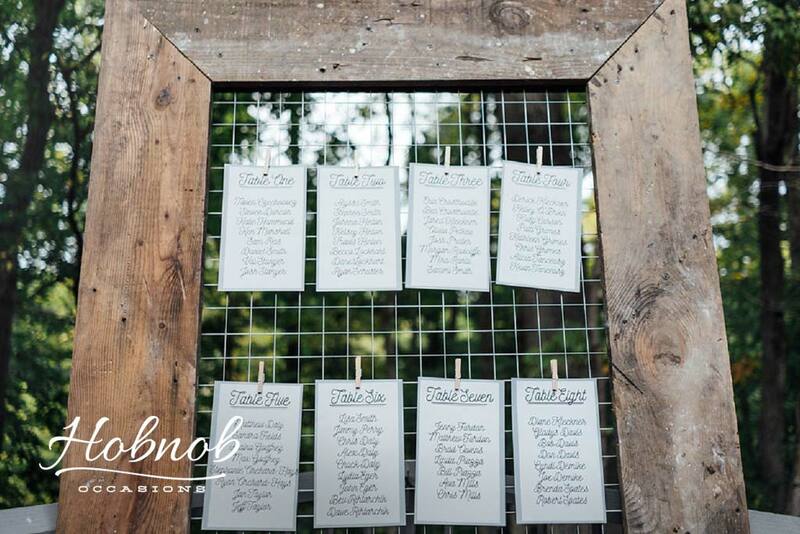 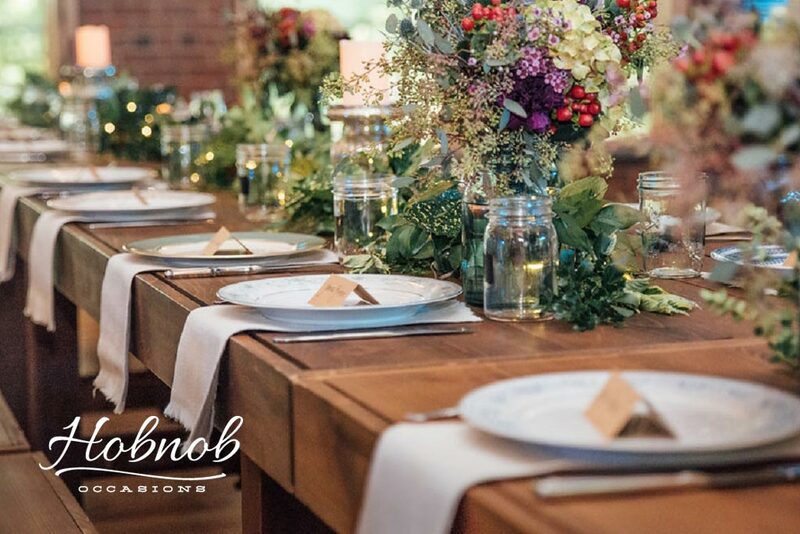 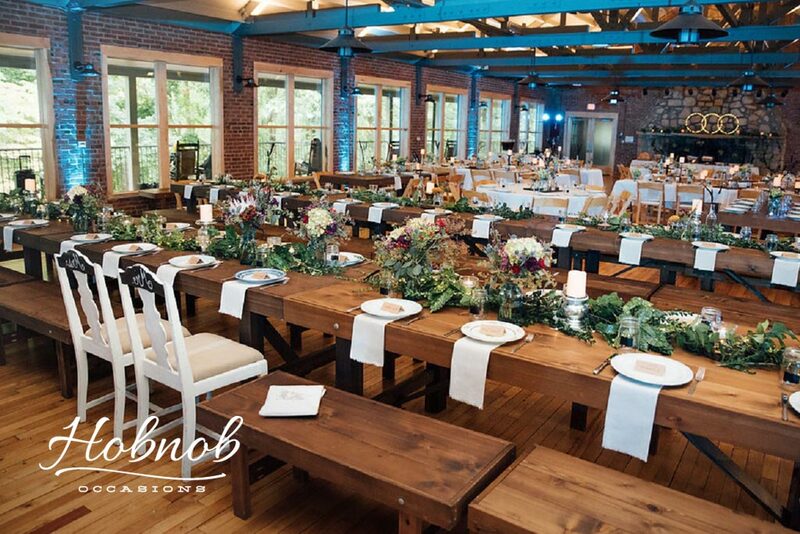 We were thrilled to plan, style and provide rentals for Alyssa and Stephen’s boho-inspired wedding. 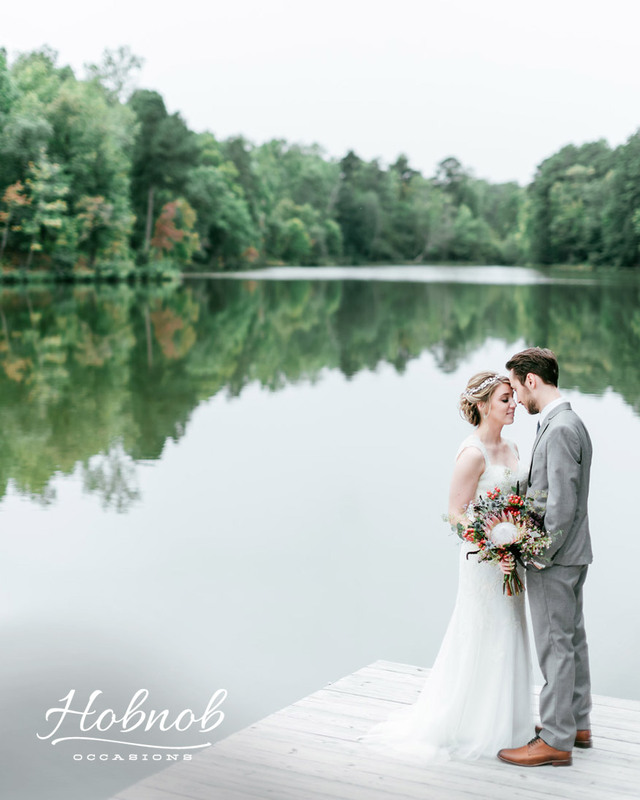 Durant Nature Preserve in Raleigh was the perfect venue for their celebration, offering a gorgeous indoor space set against the natural backdrop of the preserve, complete with a lake, fields and forests. 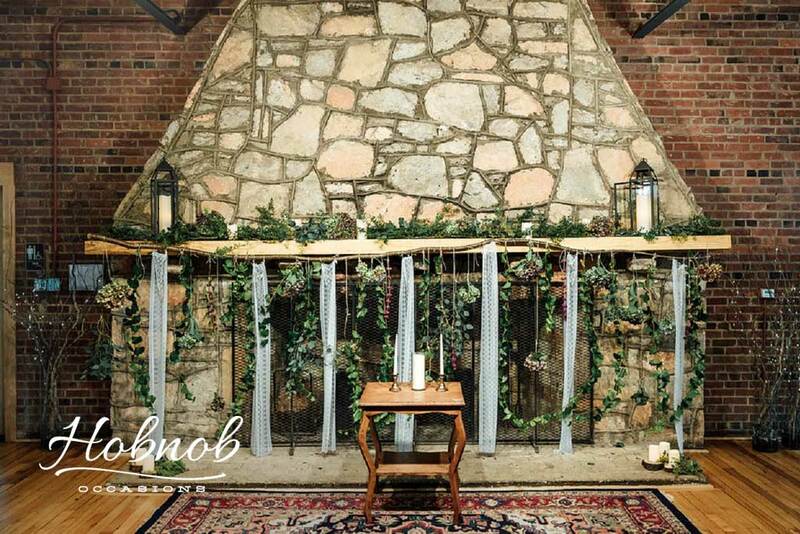 The mantle and farm tables were styled with muscadine vines and other greens we gathered that morning. 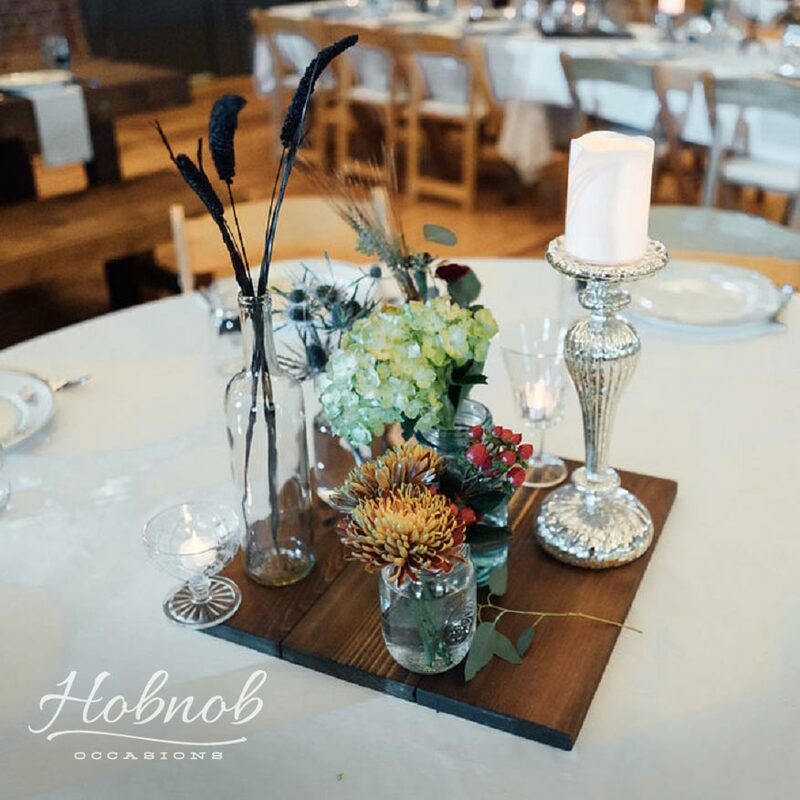 The bride and her mother provided the mixture of candle holders and vases and we used the gorgeous bridal bouquets created by Bittersweet Florals to add to the head table (our favorite cost saving trick).